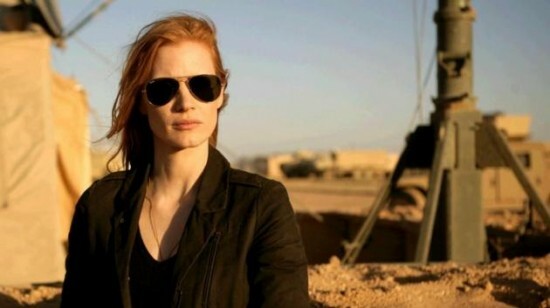 There’s a new trailer for Kathryn Bigelow’s Zero Dark Thirty and it’s pretty awesome. In case you’re not familiar, the movie tells the story of Seal Team 6′s hunt for Osama Bin Laden. That hunt ended, of course, with Bin Laden’s death on May 2, 2011. The movie features Jessica Chastain, Chris Pratt and Joel Edgerton and was written by Mark Boal. It was an interesting show for the Oscars this year. From the “Kanye” moment to Sean Penn somewhat proudly proclaiming he’s not part of the Academy. Sandra Bullock won an Oscar for Best Actress in a Leading Role (The Blind Side) the very same year she accepted a Razzie for Worst Actress (All About Steve). And, of course, the gross upset of Avatar at the hands of The Hurt Locker. With 41 million viewers, this year’s Oscars had something for everyone but, perhaps more interestingly, it best reflected the two sides of Hollywood which exist today. How fitting to have two hosts on the one Oscar night that would truly exemplify both faces of Hollywood. For so long many have seen Hollywood as one massive, filmmaking entity but that really isn’t the case. Now more than ever there’s a division between what I’m calling (for the purposes of this article) “mainstream” Hollywood and “performance” Hollywood. The names pretty much say it all. Films in the mainstream category are all the summer blockbusters, tent pole movies studios rely on to turn a healthy profit year over year (e.g. Iron Man, The Dark Knight, Avatar). In contrast you have the performance pictures, lesser known films with limited release and all too often far less money behind them (e.g. Slumdog Millionaire, No Country for Old Men, The Hurt Locker). These are two very different types of films, each vying for the attention of movie goers. Just call her the giant slayer. Kathryn Bigelow and her modest little Iraq War drama The Hurt Locker beat out the behemoth box office champ Avatar for best picture, best director, best original screenplay, best editing, best sound editing, and best sound mixing. Bigelow made history, becoming the first female ever to win the award for directing. James Cameron and company (Avatar) left with a total of three trophies: best visual effects, best art direction and best cinematography. The cinematography award seemed a little odd. After all, most of this film was computer generated, wasn’t it? There were no real surprises in the acting categories. Best supporting actress went to Mo’nique for Precious, best supporting actor Christoph Waltz for Inglourious Basterds, best actress was Sandra Bullock for The Blind Side, and Jeff Bridges finally won for Crazy Heart. Up won best animated feature and best original score, while El Secreto do Sus Ojos (Argentina) won best foreign picture. The Cove won best documentary. For an expanded list of major category winners, scroll to the bottom of the article. It should come as no surprise that actor Bill Paxton knows James Cameron and Kathryn Bigelow pretty well. After all, he’s been featured in most of Cameron’s films including Aliens, The Terminator, True Lies and Titanic and starred in Bigelow’s vampire film Near Dark. He even worked with both Cameron and Bigelow on a music video for his band Martini Ranch oh so many years ago. So it’s been kinda odd that nobody has talked to Paxton about both Cameron and Bigelow, especially as the two directors used to be married and are both nominated for Best Director Academy Awards this year. Fortunately, the folks at The Jimmy Fallon Show have seen fit to remedy this situation with an interview of Paxton, which we’ve got the video of to share with you today. As Paxton is a friend of both directors and owes much of his career to Cameron in particular, he doesn’t really spill the dirt and give us anything particularly revolutionary. Still, it’s interesting to hear him speak about a subject, and two people, he knows so well. The ’80’s were an interesting time for many reasons. One of the main ones was the burgeoning music video scene where any band that was trying to “make it” made a video. One such band was Martini Ranch, fronted by a young Bill Paxton. And yes, they made a video. The difference here is that the video was directed by James Cameron and featured not only Paxton but Judge Reinhold, Paul Reiser, Adrian Pasdar and Cameron’s future wife, director Kathryn Bigelow. In the video you are treated to Paxton as he rides into a typically dusty western town where in typical fashion coffins are being assembled, a beefy lady blacksmith works and prostitutes assemble on the balcony of the local whore house. Paxton then pays a visit to the saloon and said house of ill repute. But the fun doesn’t end there when Bigelow and her posse hit town and interrupt Paxton’s fun by slipping a CD of the song, entitled “Reach”, into a player. From that point forward, it’s on. In truth, words cannot adequately describe just how cheesy this video is. After all, it was the ’80’s. Check out this masterpiece after the jump. Thanks goodness the ’80’s are over. The Director’s Guild of America Awards were held over the weekend, and Kathryn Bigelow became the first woman ever to win for feature film direction in the guild’s 62 year history. She won for directing The Hurt Locker, and beat out some stiff competition, including Quentin Tarantino, James Cameron, Jason Reitman, and Lee Daniels. This could be a momentum changer going into the Academy Award nominations tomorrow morning. There have only been six times in its history that the DGAs have not correctly predicted the eventual Oscar winner. Incidentally, a woman has never won an Academy Award for best director, either. For a complete list of all the winners, visit the DGA site. Photo courtesy of the DGA. Rather than tell you what I think I should, I decided to come clean on this list. For instance, I am aware that A Serious Man might technically and artistically be a cut above some of these, but I just didn’t enjoy it as much. I’ll also preface this by saying since I was covering most of the main-stream movies this year, there were a lot of independent movies I didn’t see, so they may not appear on the list. The film title links to a review when applicable. Up In The Air – Buoyed by a trio of fantastic actors, I found this movie to be utterly charming. Directed by Jason Reitman (Thank You For Smoking, Juno), the movie is touching, prescient, original, and funny. Vera Farmiga, George Clooney and Anna Kendrick all received Golden Globe acting nominations. George Clooney’s depiction of a traveling man who keeps any type of human interaction at arm’s length is effortless, and is a joy to watch. A Single Man – This film is still in limited release, so many people have not seen it, but I was absolutely blown away by designer Tom Ford’s directorial debut. He brings an artistic eye to the story of a gay man in 1962 who has recently lost a live-in companion. Heavy stuff, and Colin Firth gives a truly amazing performance that will break your heart. Julianne is a stunning aging beauty who longs to have a relationship with the emotionally unavailable George. Universally relatable to anyone who has ever been in love, or experienced unrequited love. Seamlessly shifting from sepia, black and white, and color, the film is gorgeous. Beautifully scored by Abel Korzeniowsky as well. “Triple Frontier” is described as a high-stakes ensemble project. Boal and Bigelow, who will both exec produce, sold the original idea together; the logline is being kept under wraps. Boal’s writing the script, set in the notorious border zone between Paraguay, Argentina and Brazil where the Igazu and Parana rivers converge — making “la triple frontera” difficult to monitor and a haven for organized crime. Producer Charles Roven told Variety he’s hoping to begin production on Triple Frontier next year. He’s in post-production on historical drama Season of the Witch and is producing Sam Raimi’s Warcraft adaptation for Warner Bros. We’ll be sure to have more information on the film as it develops, and The Hurt Locker is open now in limited theaters across the country.